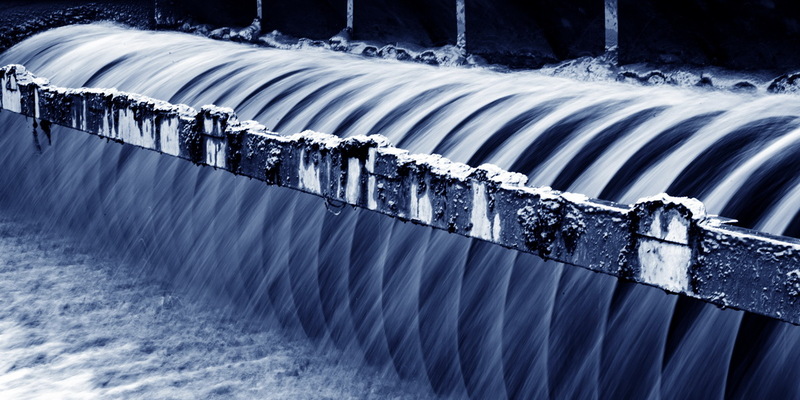 SSE provides end to end solution to the customer in mostly the water and wastewater treatment industry, usually Digital Radio were used as communication networks in this industry. But sometimes, the topographical area does not always allow clear or successful radio paths. Installation of radio solutions are more time consuming and then the antenna installations is also pruned to theft due to visibility, and according to assessment by SSE, Digital radios is approximately 4 times the cost of GSM modems. In this case, SSE needs to find another alternative solution for their extensive customer basis. Additionally, the legacy system in the field may need either RS232 or RS485 for communication, which is not both available on most of GPRS/UMTS modems. “The only difficulty related to the product is GSM Coverage which is limited in the rural areas and then the last request to add the functionality to be able to route the data to multiple IP addresses to ensure redundancy on redundant SCADA solutions.” Explained by Carlo Shield – Managing Director of SSE. SSE started researching a wireless communications method while developing SMART GSM DATA Acquisition and Control Solutions (hereafter as SGDACS) that would be cost effective while improving their system reliability and offering. It believed that SGDACS would benefit greatly if a wireless technology was available to supplement or replace existing digital radio system to overcome existing radio network challenges. A wireless solution powered by Robustel GoRugged M1000 Pro V2 modem and R3000 was by far the most efficient, capable and cost-effective answer. 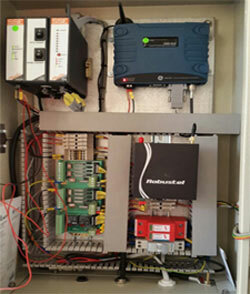 In this solution, under a private APN network, the R3000 were used in the SCADA side to provide broadband wireless communication for the SCADA system in the control center, and the M1000 Pro V2 GPRS modem connect to the field devices like SSE’s RTU, PLC, Energy Meters, Flow meters, Drivers, Modbus Instruments etc. The dual SIM cards redundancy on M1000 Pro V2 modem provides alternative wireless communication channel to improve the uptime of whole system, and the field engineer could select preferred network according to the coverage situation. The M1000 Pro V2 modem together with RobustLink management solution provides the ability for SSE to collect the remote data, also monitoring the remote sites to know the signal level, IP address, communication quality as well. Rugged form factor – M1000 Pro V2 designed for solid performance in harsh environmental conditions, includes extreme temperature and well-traveled crossroad. Return on investment – The RobustLink management capabilities reduce the need for field service call travel and decrease reaction time to potential issues. Remote Management – RobustLink Management software provides easy configuration and control of remote M1000 Pro V2 modem in the field.